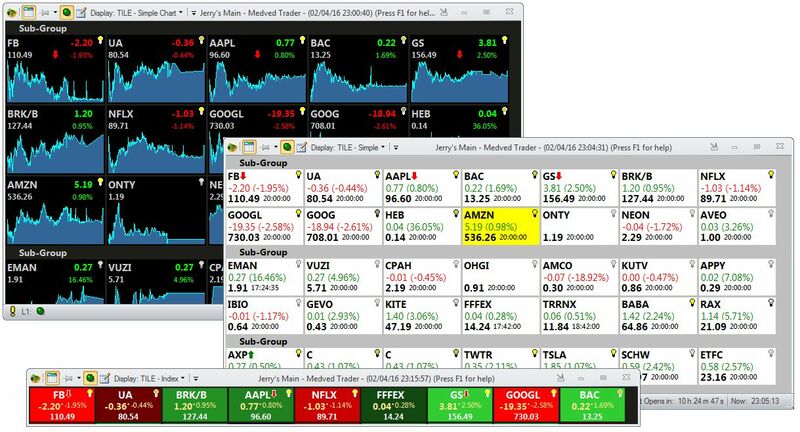 Track portfolios, show charts with technical indicators, monitor time & sales, all in real time using any one (or several) of the supported data sources. Flexible and fully customizable charting, with all the various chart types, indicators, annotations and alerts that active traders require. 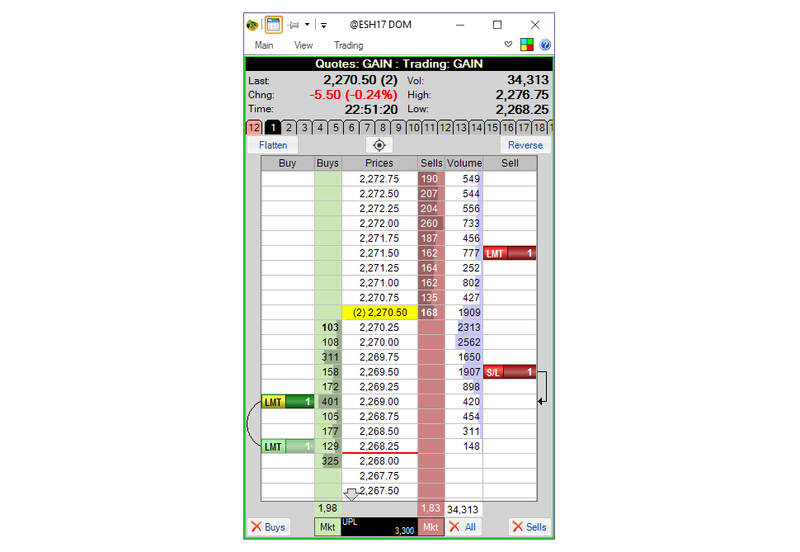 See where your current orders and positions are, create a new order, drag pending orders with a mouse to new price, see them execute - all from the chart. 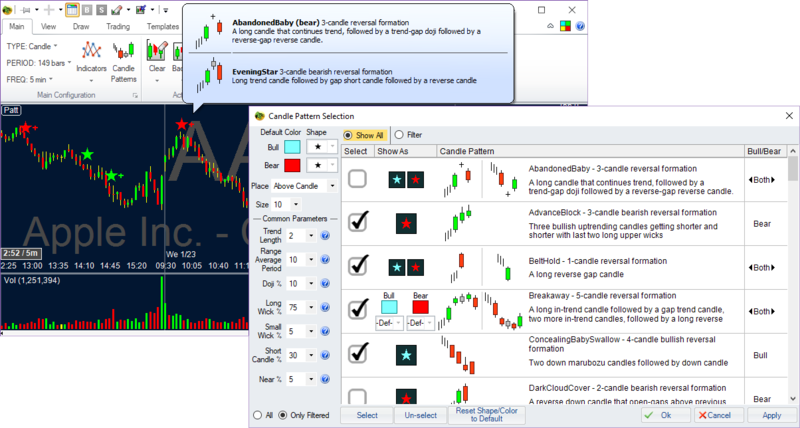 Detect multiple candle patterns in real time on charts and incorporate chart pattern detection in real-time scans. A complete set of patterns with various tweaking parameters. 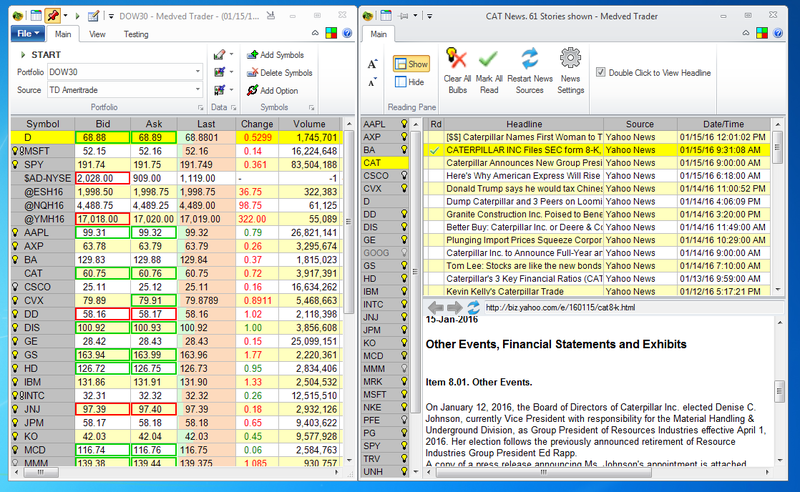 A full-featured alert system that includes fully configurable alerts on single symbols, multi-symbol, portfolios and news. 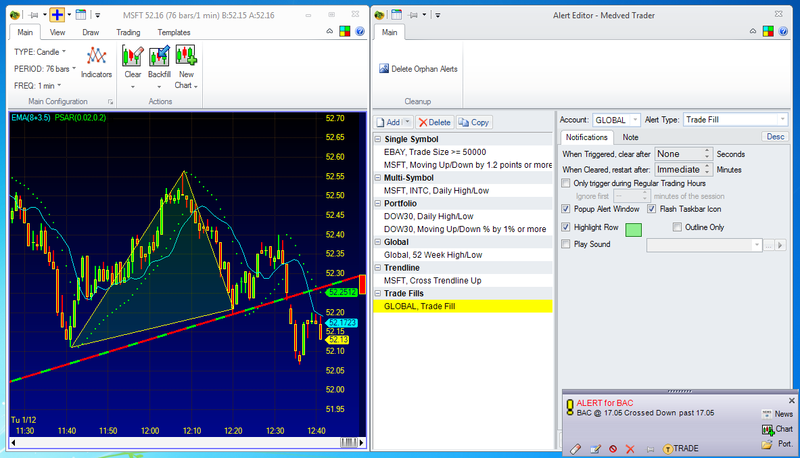 Trendline alerts on charts are also available. Streaming and snapshot news from multiple sources show up on the portfolios. Don't be caught unawares. 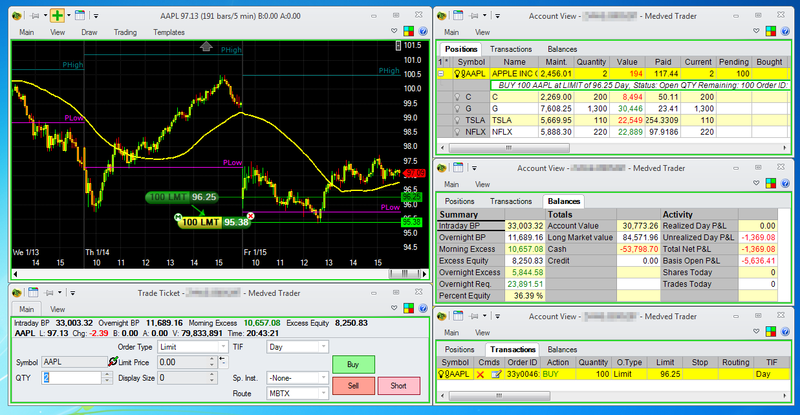 Trade and monitor your accounts from inside the program using any of the brokers to which Medved Trader connects, using a powerful and flexible interface. 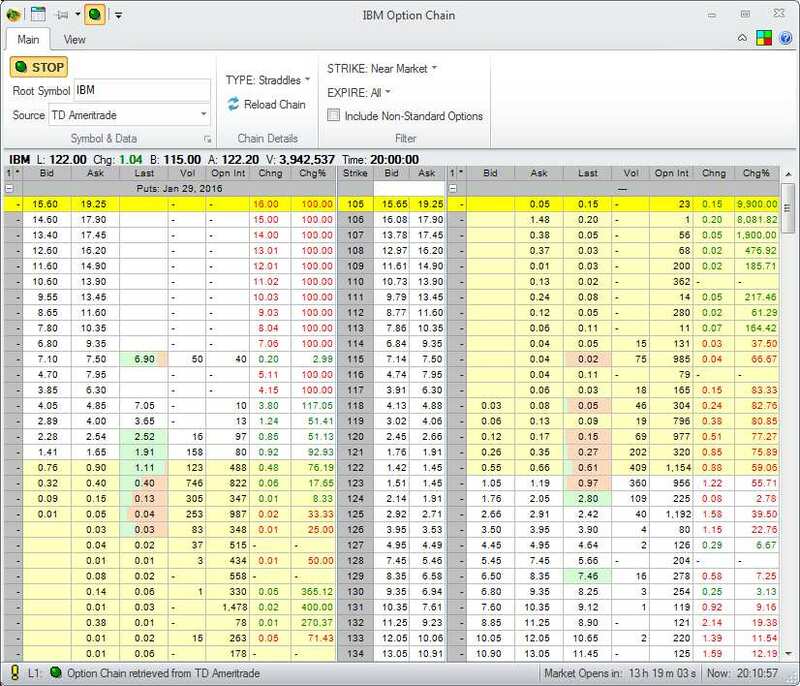 You can also place or modify trades directly on the charts without having to fill out any trade tickets. 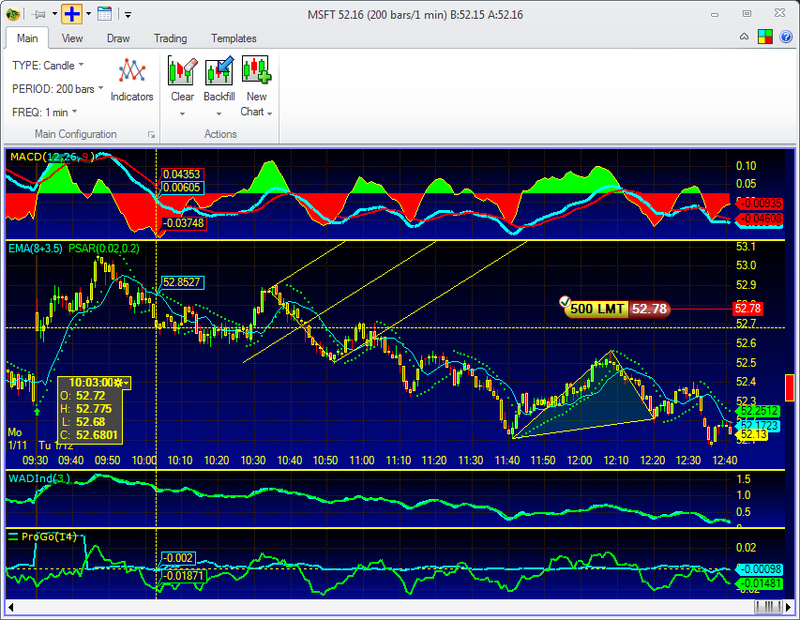 The scanning is fully customizable, and can be done using any formula, and involving any indicator. 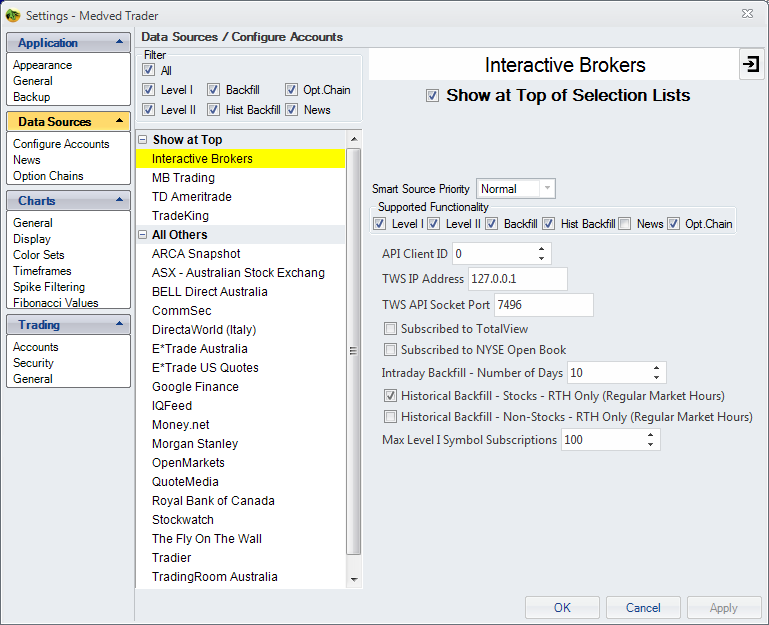 Connect to multiple brokerages and data feeds to receive real-time market data and historical data for analysis and trading . 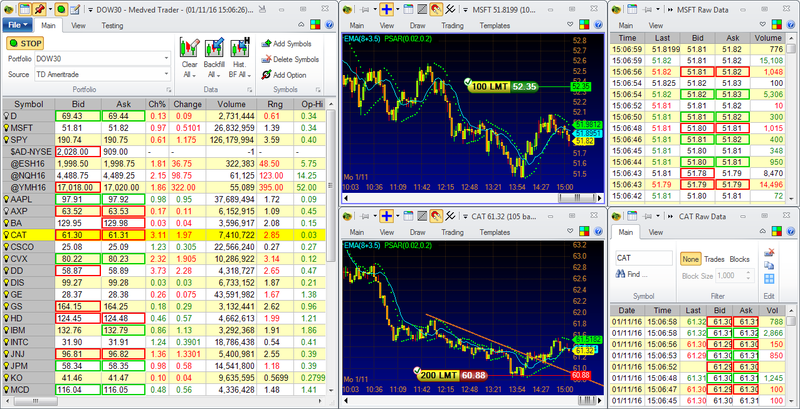 Display your portfolio "Tiled" in various preset presentation formats that make it easier to see price action. Bring up all the options for a symbol in one window, with values changing in real-time, grouped by various methods, including strategies. 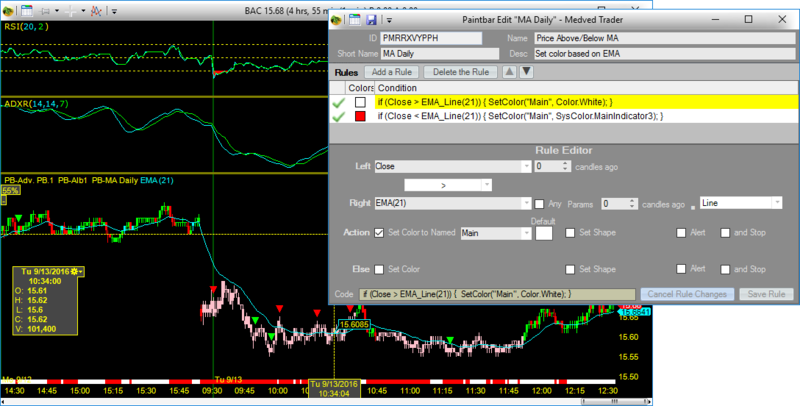 Custom formula-driven indicator-based paintbars that users can place on charts to help identify trading opportunities. Paintbars can also trigger alerts. 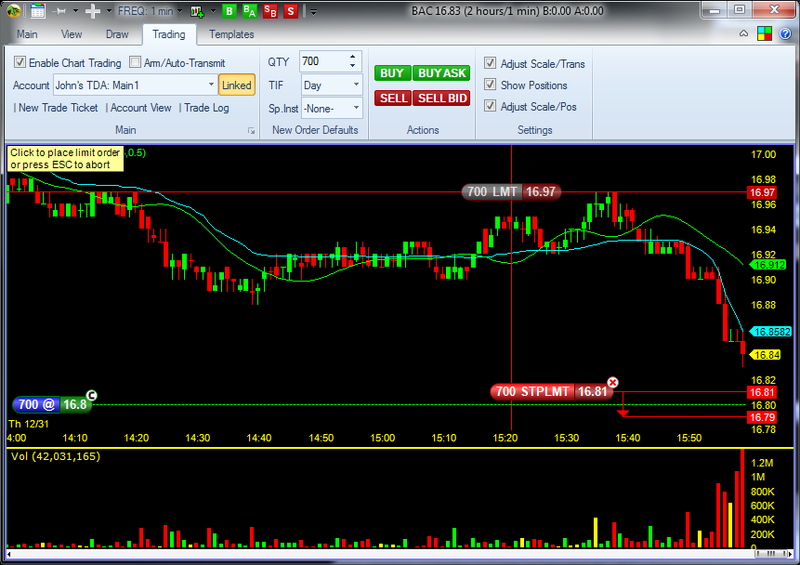 See the real time bid/ask action on the DOM price ladder, and trade visually right on the DOM display. 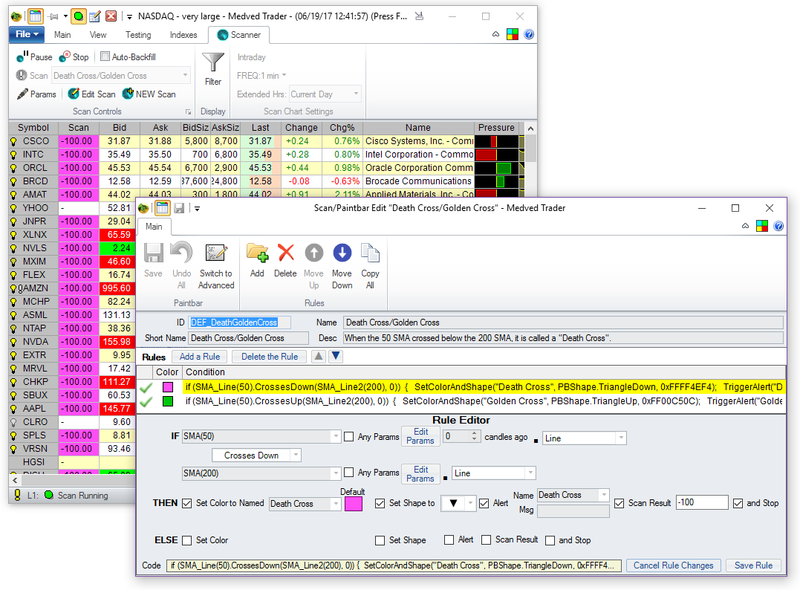 Each portfolio window can have an independently-sourced Index Panel that displays current stock market indexes in a compact format. 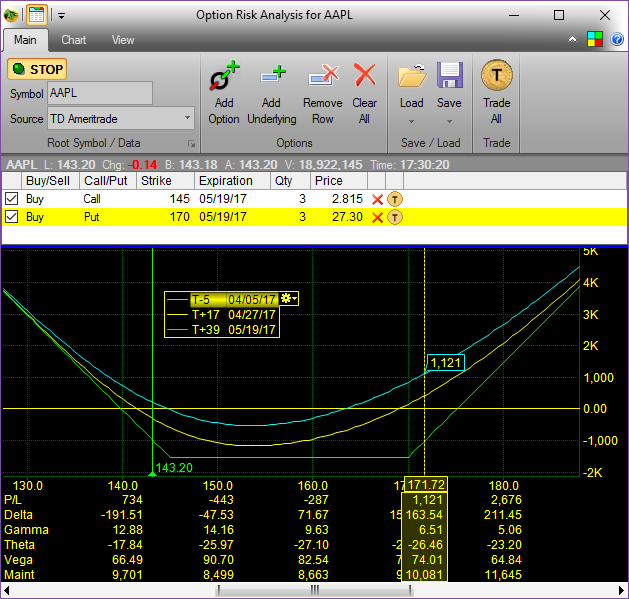 Allows you to plot and analyze profit/loss curves for a basket of option trades.